Worldprofit is a training company with a comprehensive online training program to teach you what you need to know and do to grow your own online business. The training is online, go at your own pace, learn how to use the unique tools, resources, and software available to you as a Worldprofit Member. In addition to the online training lessons (over 150 currently),Worldprofit Members also get unlimited access to LIVE interactive weekly training with George Kosch. He's the CEO and Co-Founder of Worldprofit but most importantly to you, he's your hands on personal instructor so you can access questions, request demonstrations and get personalized help without any hype. Worldprofit is a software service company. Worldprofit has researched, created and developed most of the software we offer which is fantastic news for our Members because it means we provide support and training in-house on how to use it to grow your online business. Help is always available when you need it. Worldprofit is a content marketing company. Worldprofit provides resources to our Members for creating and publishing their own content which is is a critical factor in search engine indexing and for establishing a niche for your business. Worldprofit provides Members with content production resources including ebook creation and publication, graphic design software, article marketing, blogging including WordPress hosting, social media integration, SEO, website customization and more. Worldprofit offers a Reseller Program for their own web-based services. 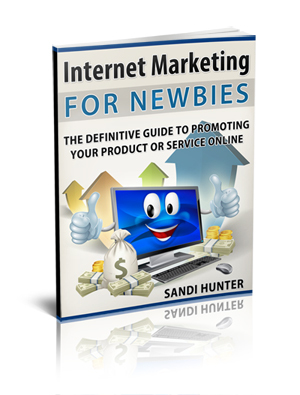 Worldprofit was one of the first companies to offer an affiliate marketing program. Long before affiliate marketing became the industry it is today, Worldprofit was quietly offering a popular Dealer program, where Members could resell Worldprofit's web-based services to earn sales commission. Our line of products, services and software has multiplied over the years allowing our Members to confidently sell an extensive line of proven products and unique services that are backed up with expert training and friendly service support 365 days a year. Worldprofit is a one stop solution business platform. Worldprofit Members can use the various tools, software and resources to promote and earn income from any number of affiliate marketing programs; that offered by Worldprofit, that recommended by Worldprofit, or Member selected affiliate marketing companies. Worldprofit's comprehensive platform is based on providing exactly what you need to grow you online business starting with the hosting of your site, the integration of software and tools to generate leads and traffic, to build your email list and to establish and expand your personal brand and social media footprint. Everything at Worldprofit is devoted to one channeled purpose, to provide you with essential tools and give you the training and support to help you grow your successful online business. Worldprofit is an advertising company. Worldprofit offers affordable advertising to our Members from verifiable traffic sources through our network of sites and our trusted partners. Worldprofit Inc., is one of the most well established and longest running IT companies online, a humble kitchen table start up hatched in 1993 then a registered corporation in 1994 co-founded by Sandi Hunter and George Kosch. 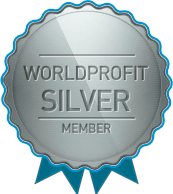 Today, Worldprofit is proud and honoured to have more than 2 million Members worldwide encompassing both free Associate members and fully upgraded Silver and Platinum VIP Members. The affiliate marketing industry continues to grow in leaps and bounds, Worldprofit is your #1 trusted source for everything you need to start your business, grow that business and better provide for yourself and and your family now and for years to come.